National Bank Equipment® offers the most comprehensive card processing solutions in the industry using innovation and knowledge to assist our customers with an effective payment solution. 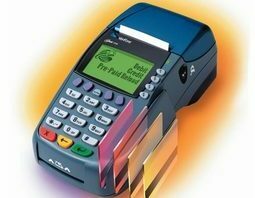 From debit, credit and gift card to pre paid, check and c-store processing, we are the single source for all the products and services businesses need to process electronic card sales faster, and more cost-effectively. Having one of the highest approval rates in the industry, National Bank Equipment® is one of the leading payment services in the nation. We focus on providing the best processing solution with the lowest rates, and guide our customers toward success and tremendous growth for their business. By accepting credit, debit and EBT card processing, you can increase your business income by allowing more customers to use a wider range of payment options. With a fast approval rate and no commitment, using National Bank Equipment® as your merchant account provider, your business will expand to a higher level. Have Interchange Rates hurt your profits? National Bank Equipment® offers great solutions to lower rising costs of credit card processing. Our experts are ready to ease the burden on your merchant accounts. Contact us today to learn how much we can save your merchants. Write more accounts and grow your business with us! This little known industry makes many millionaires with a very small start-up cost. You can also benefit from this growing industry – National Bank Equipment® will show you exactly how. What the majority of Americans don’t know is that most credit cards, ATM cards and other transaction processing accounts are not marketed by banks. If you are interested in processing Credit Cards please contact us for more information at information@nationalbankequipment.com or call 1-800-716-8636. 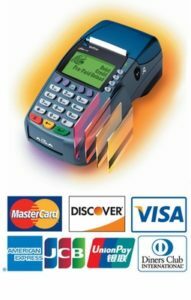 For any business, selecting the right credit card machine terminal and solution is an important decision which should not be taken lightly. Therefore, we at National Bank Equipment® have used our expert knowledge to select the best, most commonly used credit card machine terminals and solutions. If you are unsure as to which is best for your business, feel free to contact our experienced staff members who will answer all of your questions.